Martin Dagile, Alain "The Director" Parent, Danny Hewitt. 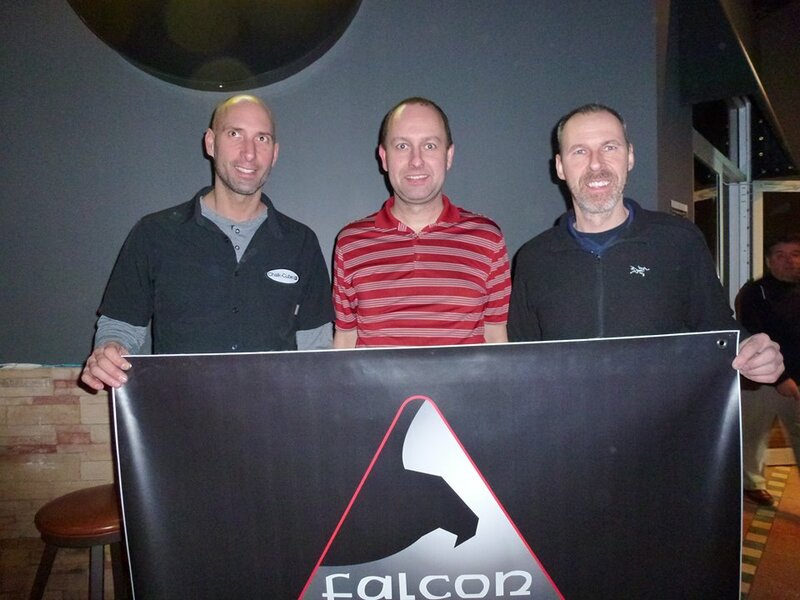 This past weekend February 4th and 5th Tailgators in Ottawa, Ontario played host to the Falcon Cues Pro Tour. As many people know, tour founders Danny Hewitt and Alain Parent recognized the need for a Professional tour and in the fall of 2015 with the help of Falcon Cues they begun the Falcon Cues Quebec Tour. 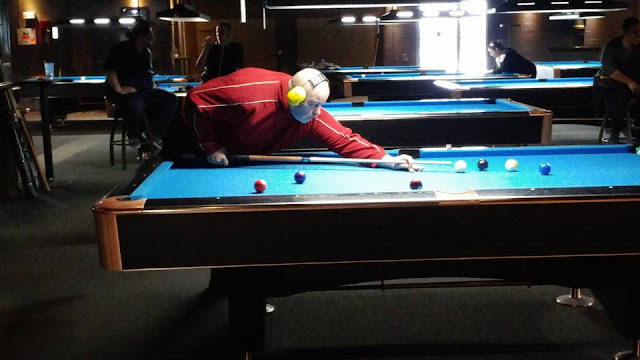 39 players came to participate in the first tour stop in Ontario. Most of the top local talent such as Steve Bourrada and Roger Miller who do not travel much made a stand to defend home turf. Considering the field was stacked with Canadian and Quebec legends such as Danny Hewitt, Alain Martel, Andre Goyette, Francis Crevier and Martin Daigle to name a few, the hometown boys held their own. Throughout day one most of the top contenders cruised through the first few matches. In a bit of a surprise Luc Salvas did not make it to the second day. Salvas was sent to the losers side by Martin Daigle in the third round 9-6. Sébastien Laramée an up and coming semi-pro from Québec City, who lost his first match to Pierre Normand of Gatineau and survived a 9-8 thriller from Karim Attia was next up for Salvas. Laramée was able to edge out another 9-8 win eliminating one of the tournament favourites. Laramée played Jean Theriault from Maxville, Ontario who has been hot as of late, winning a Semi-Pro in Laval the previous week. I was personally watching this match around 9:00 p.m. and it was noticeable that both players were fatigued and making mistakes. 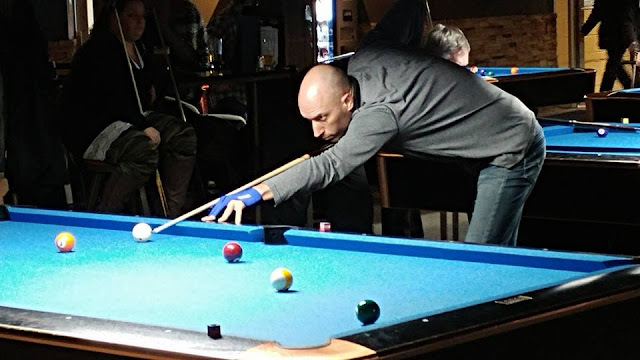 It was Theriault who was able to find his game first and eliminated Laramée 9-6. Theriault had to wait a while for his next opponent as Bourrada and Normand, top local players who are not known for their blistering pace, hammered out a double hill match. This match took a reported 2hr 45min, and was won by Bourrada who went on to win 9-7, qualifying him for day 2 which would only bring back 6 players. Before getting into day two it should be noted that one A class player Marie France-Blanchette was tied for the highest finish of the amateur caliber player finishing tied for 13-16 with Mike Young. Blanchette followed up this performance with a second place finish in the second chance tournament. Coming back for Sunday were top Ottawa players Bourrada and Miller joined by Martel, Daigle, Hewitt and Crevier. The day kicked off with some drama on the losers side. 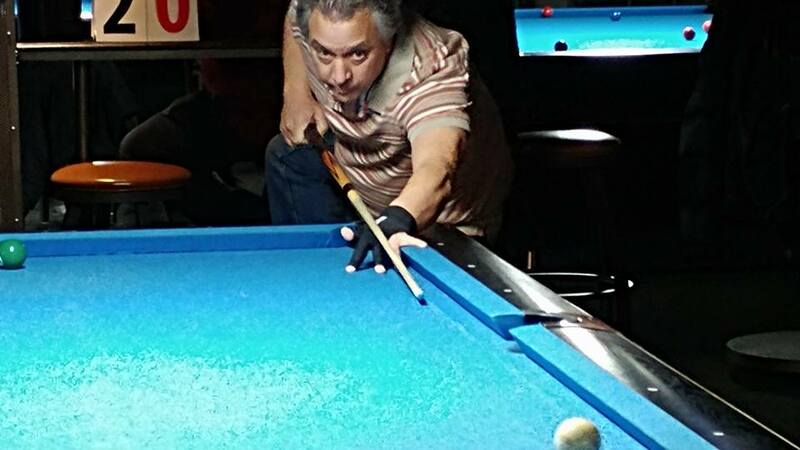 Daigle matched up against Bourrada and established a healthy 7-0 lead. To the amazement of the local fans Bourrada finally won one rack which turned into two racks before you know it the scoreline was 8-8. Hat's off to Daigle who managed the last rack with grace under pressure running out a tough rack fighting his opponents momentum. 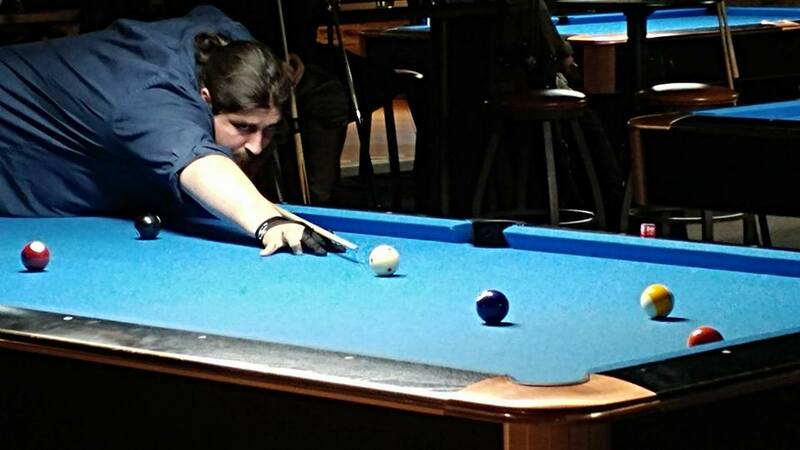 In the other losers side match Martel dispatched Roger Miller 9-4. Both Ottawa hopefuls did well finishing tied for the 5th/6th position. Daigle continued on his winning ways eliminating Martel 9-6 setting up the much anticipated rematch against Crevier. 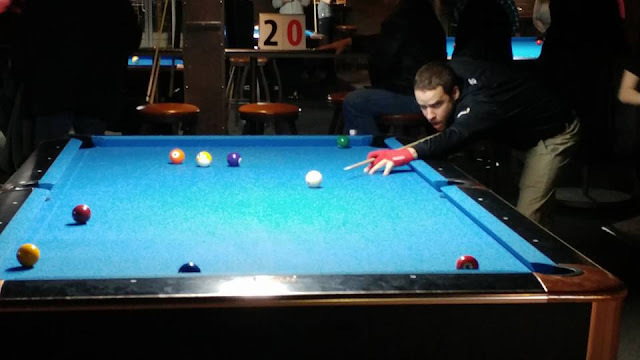 It is well known throughout the circuit there is a rivalry between these two players, as with any good rivalry spectators took special notice to this match. It was Crevier who knocked Daigle to the losers side with ease 9-2 and also beat him in the final of the Pro tournament they played the previous weekend. This match went a different way as Daigle was able to avenge his previous loss booking his spot in the final 9-3. Hewitt once again is the man to beat if you want to take top spot. I believe his winning ratio on this circuit is near 70% as he has been almost unbeatable on the Falcon Tour for 2 years. This was a tightly contested match at 9-9 race to 11, in the end Hewitt pulled away to get the 11-9 win. The Falcon Tour would like to thank Curtis Houlden and Morgan Bristow as well the entire Tailgators staff for being welcoming and make this stop a success. The next Falcon Tour Stop will be at Dooly's Neufchatel February 25-26. Make sure to visit http://www.falconcuesquebectour.com/ for all tournament information. Remember to go to www.cuesportnation.com to get all your Falcon Tour Results!